The XMP-3250 is built using high-performance hardware-based media decoder chip capable of reproducing brilliant video performance up to 1080p. Unlike conventional player built using PC technologies, the video performance of the XMP-3250 is guaranteed by hardware and would avoid stuttering typical among software decoders. In addition, the entire unit is constructed with solid-state components leaving no moving parts, and features an unmatched 400,000-hours in MTBF (mean-time before failure) in hardware durability. 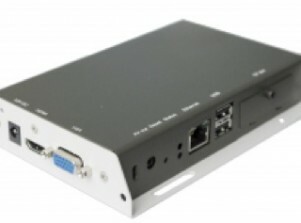 The solid performance of unit makes it perfect for large-scale digital signage deployments.